I spent the morning gazing out over the fields towards the Mediterranean, scanning the horizon to see if I could see Africa. I didn’t see Africa but I saw a boat. Whether or not the boat had come from Africa was unclear. I am not sure what an African boat would look like. 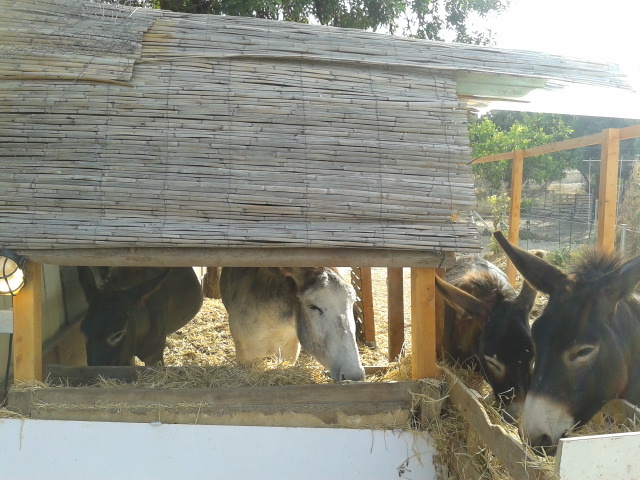 So I returned to the manger and found a few bits of straw left over from breakfast. 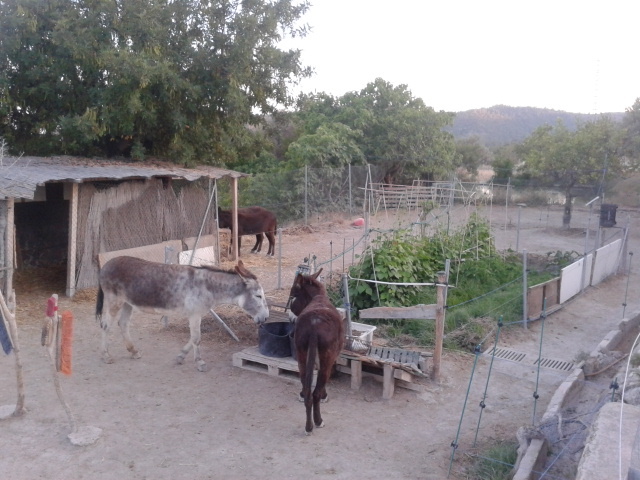 I decided that my last Tuesday blogpost of 2015 should be a review of the changes to the donkey field this year. Here on our field most days are pretty much like most other days. Occasionally there are different days which are not like most other days, and that can be a good thing or a bad thing. 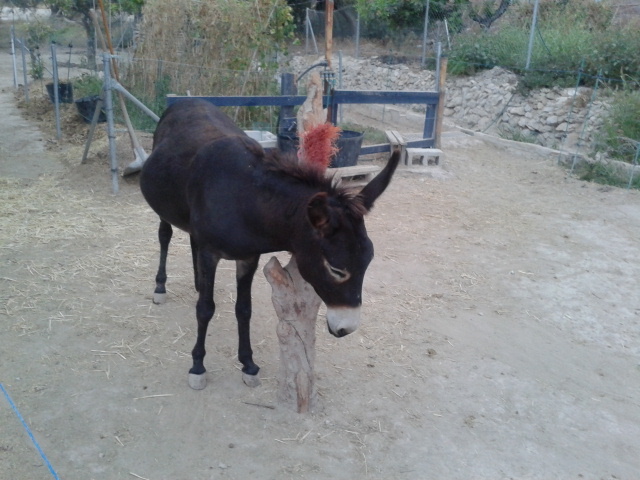 Visitors are usually a good thing, as they sometimes bring carrots and apples. 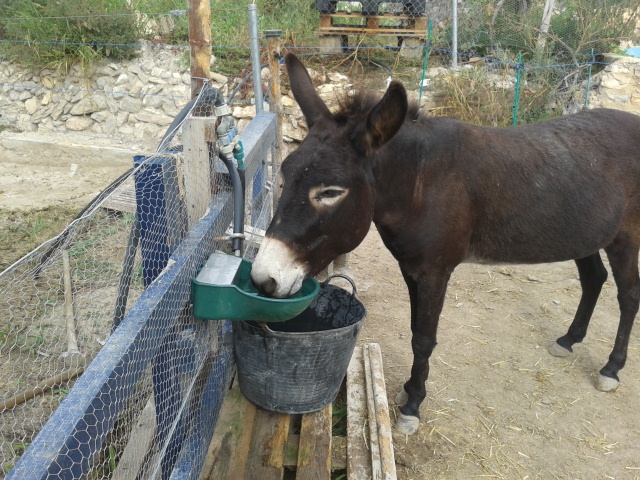 But visitors can be a bad thing, such as the farrier who comes to attack our hooves, so we try to kick him and persuade him not to come back again; like the previous farrier, who got the message and never came here again. Another highlight of the year was when Morris decided to put a tea towel on his head to look like Lawrence of Arabia. This was tribute to actor Omar Sharif who died in July this year. 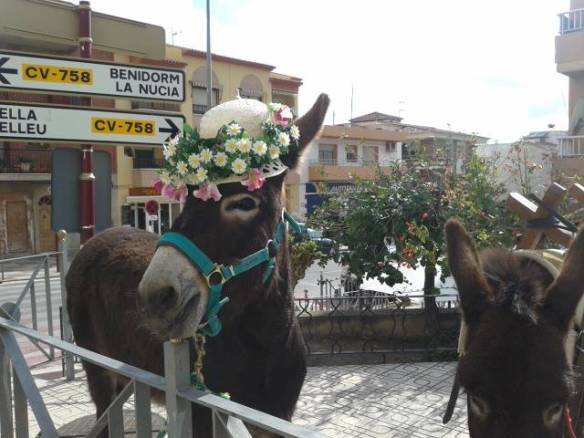 Other donkey dressing up occasions were Aitana in her Easter bonnet, which went down a treat in Finestrat, and the usual Santa hats line up for Christmas. The field has been improved indoors and out. 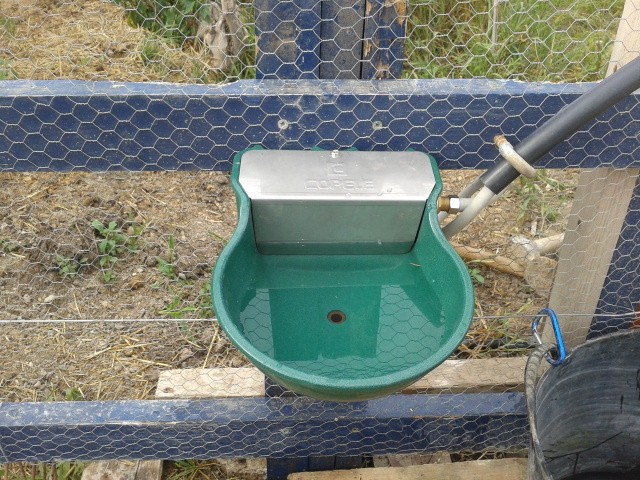 We have been drinking out of plastic buckets for the past five years but the new drinking fountain was put in this summer and also the stable was extended, making more room for the cold weather – now that the foals have grown up into adults. 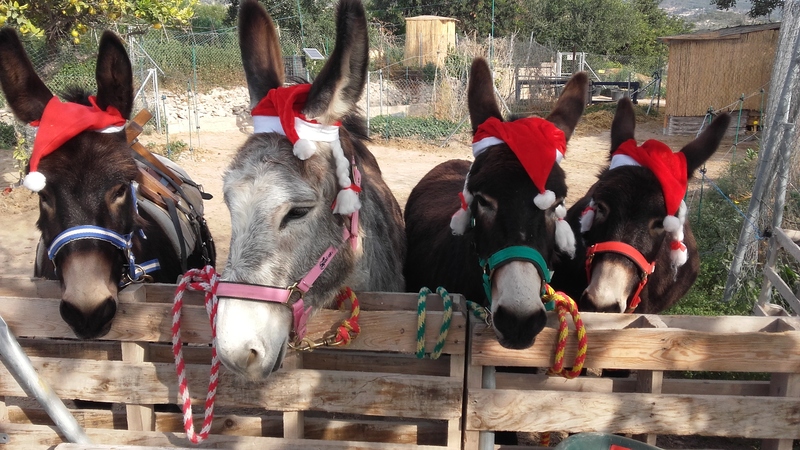 Finally, how could we forget the most important visitor to the donkey field in 2015? On 13th July – the first Monday of the summer holidays – we were very honoured when Pope Francis paid us a visit We didn’t see very much of him, as he was flying at 40,000 feet in an Alitalia Airbus A330, but we were greatly honoured that he flew over our field (almost). I will be back in the new year with my Tuesday blog, so have a happy new year. Now I shall go and stand in my usual place and see if I can glimpse Africa on the horizon. The WordPress report on the first five months of this new blog is available here: https://equusasinus.net/2015/annual-report/ It had 7,500 views. The 2015 report for the old Brother Lapin blog (which had 22,000 views in the seven months before it was replaced by Equus Asinus) is available here: https://brotherlapin.wordpress.com/2015/annual-report/ The combined figure of nearly 30,000 views shows a steady readership. Thanks to all our loyal readers, those who came from the former blog and new readers who have discovered Equus Asinus. Happy New Year to all. 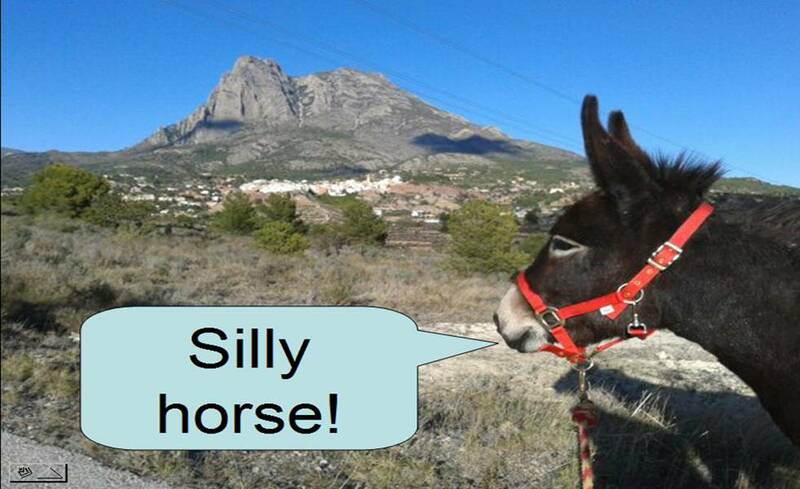 Happy New Year Gareth and donkeys! Thank you for greetings and comments, Catherine and Grandpa Zeke. New year greetings to you too. 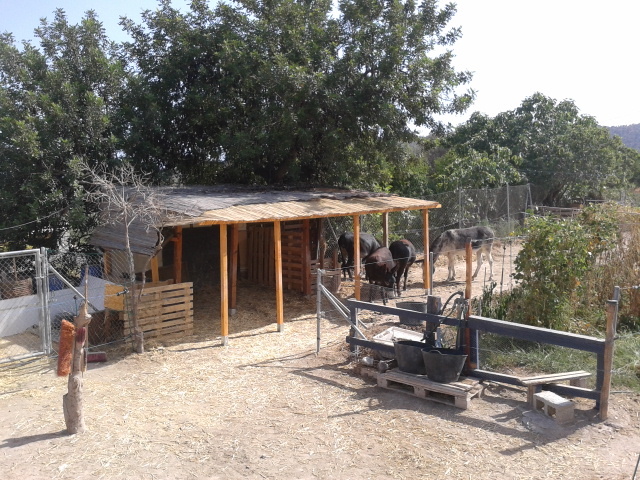 That’s the last we’ll hear from Rubí for this year, but Matilde will be kicking off the new year with her own blogpost on the Feast of the Circumcision on January 1st. 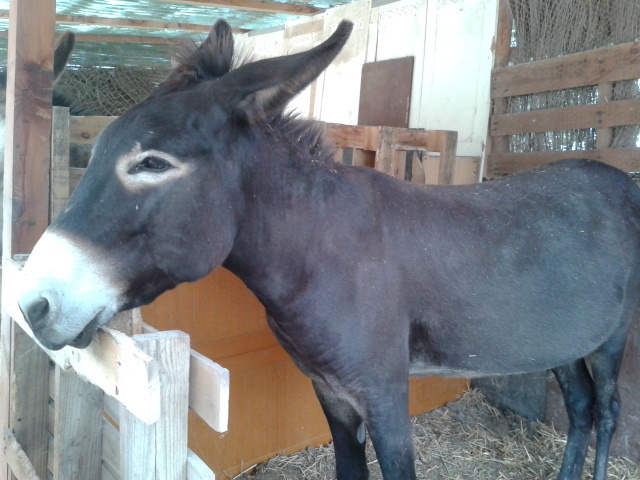 I have no idea what Matilde is going to write, but I’m always happy to give space on this blog to new equine writing talent. 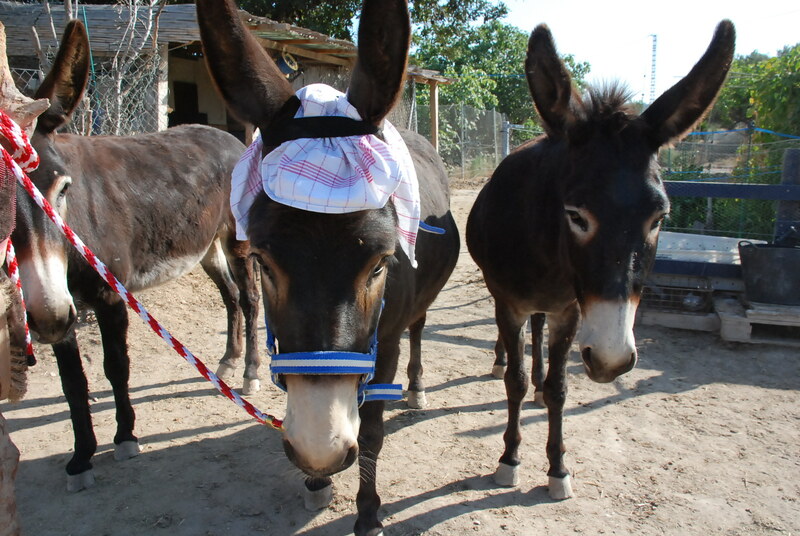 Happy New Year to you and the Donkeys!! Thank you, Grace, and a happy new year to you too. Look out for Matilde’s new year blog post tomorrow.